Scania Growth Capital, Scania’s corporate venture capital fund, announces its second investment, in sennder, a Berlin-based digital freight-forwarding company. sennder is a growth company that provides software that digitalises freight-forwarding processes in order to increase efficiency and reduce cost. 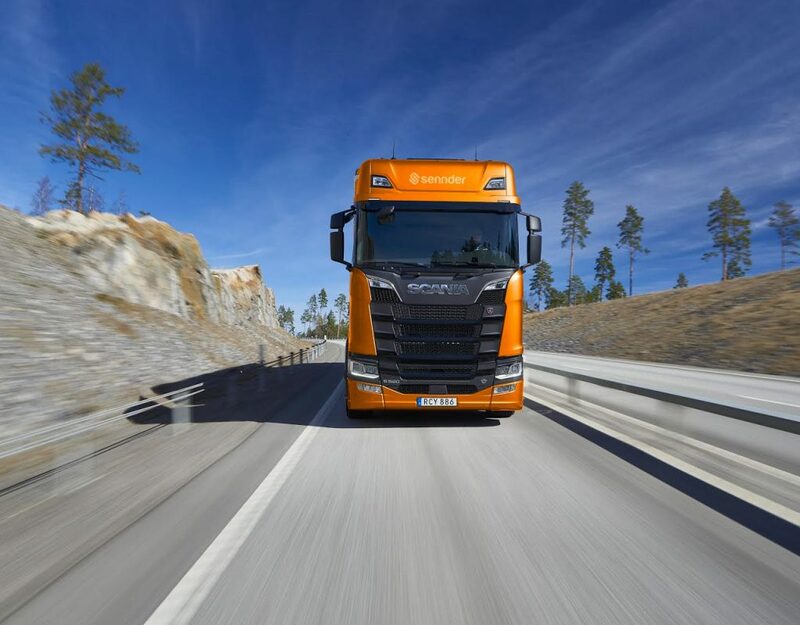 Scania Growth Capital invests a seven-digit euro amount in sennder. With sennder’s digital solution, the currently manual and paper-dependent road freight business gets a new level of automation, transparency and efficiency. The solution is based on a proprietary software platform that provides immediate visibility of pricing, live tracking, customised reporting and automated alerts through API integration with the transport provider and the buyer’s current systems. It comprises mobile apps for drivers, fleet management tools for carrier managers and logistics management solutions for shippers. “Digitalisation is one of the key drivers of change in the ecosystem of transport and logistics. Investing in sennder is well aligned with our strategic direction and our efforts to support our customers in digitalising their business and operations,” says Daniel Wedberg, Head of Corporate Management and Venture Business at Scania. “sennder has been able to secure and develop long-term contracts with some of the most demanding buyers of logistics services in Europe. By leveraging technology, sennder increases the level of customer service significantly while cutting cost for all involved parties,” says Christian Zeuchner, Partner at the management company of Scania Growth Capital. “With its knowledge, network and focus on digitalisation, Scania is a great fit for us. With their support we will be able to accelerate our growth journey, expanding further across Europe in our ambition to offer the most customer-focused and efficient service in the sector,” says David Nothacker, Co-Founder and Managing Director of sennder. From its head office in Berlin, Germany, sennder has built a list of customers that includes some of the largest e-commerce players in the world. Through a virtual fleet comprising vehicles ranging from small vans to 40-tonne trucks all across Europe, sennder can provide both parcel and full truckload services.